On 25 May, the AALA held its first professional development seminar at the stunning Venetian gothic designed Donkey Wheel House. The panel discussion featured ex-lawyer, now property developer, Mr Jason Yeap OAM, and government lawyer and board member, Ms Jenny Taing. The event was chaired by Ms Tuanh Nguyen of Baker & McKenzie, and the panel discussion moderated by Mr Cam Truong from the Victorian Bar. Throughout the evening the panelists provided insights, advice and learnings from their own unique journeys. One pearl of wisdom shared on the night included Ms Taing’s caution to avoid ‘tokenism’, and to always strive to keep your credibility intact by leading with the contribution you make, and not with your gender, heritage or age. Ms Taing also spoke about the importance of being humble and listening, qualities which have served her well in her capacity as a director on various health and not-for-profit boards, and also in her role as a lawyer. For those looking to join a board in the future, Ms Taing shared how she became a board member of the Royal Victorian Eye and Ear Hospital, which was by initially joining an advisory committee at the hospital and contributing for a few years, before being invited to join the board. Similarly, Mr Yeap discussed how he was invited to get involved with the National Gallery of Victoria, as a result of the passion he displayed while speaking to former Prime Minister John Howard about refugee matters. Ms Taing observed that a great thing about not-for-profit boards is that you get to work with people that aren’t lawyers, and get exposed to different perspectives, which can help makes you a better lawyer. Mr Yeap highlighted the important role of sponsorship in career advancement, and explained the difference between sponsorship and mentoring. Personal stories of the role the panelist’s mentors had played in their journeys were shared. 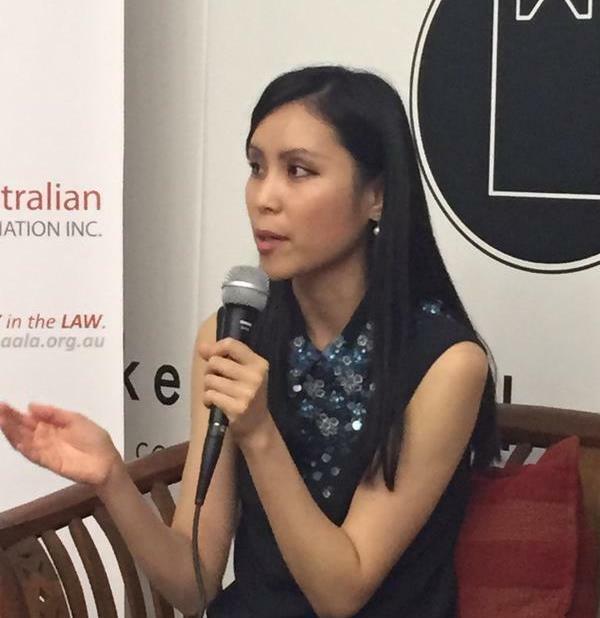 When asked how to seek a mentor, Ms Taing shared that the ‘best mentoring relationships come through establishment of a real connection’, which she mentioned she was fortunate to have had with former Prime Minister Malcolm Fraser. On the topic of work-life-balance, Mr Yeap advised that he has always strived to balance his life equally between his family, career and community and, although perfect balance has not always been possible, he strives to equally give 1/3 of himself to each. The panelists acknowledge that different professions have different appetites for diversity, and that the legal profession is still quite conservative. Ms Taing added that, in the boardroom, the conversation is mostly about gender; and felt that it needs to become more sophisticated and look at wider diversity. Interestingly, Mr Yeap told the audience that “the best compliment he can get is that he is a good Australian”. Both Ms Taing and Mr Yeap encouraged participants to get involved in committees and sub-committees of the AALA and other organisations, to try and make a difference and to be clear on “what the next step is”. Mr Yeap also encouraged the audience of lawyers to use their skills to “advocate without fear”. The night came to an end with the panelists sharing a tenet for personal and professional fulfillment, which was to display your passion genuinely and to be true to yourself. The audience then had a chance to mingle with panelists and each other, over drinks and delicious food from Kinfolk.